Wayne Pitman Ford’s exclusive Commercial Fleet Department has been working with large and small businesses since 1995, ensuring they experience a simple, hassle-free avenue to fill all their automotive needs. Wayne Pitman Ford was happy to help Jakki Prince, owner of Sweet Temptations, enhance her business with the purchase of a commercial vehicle. 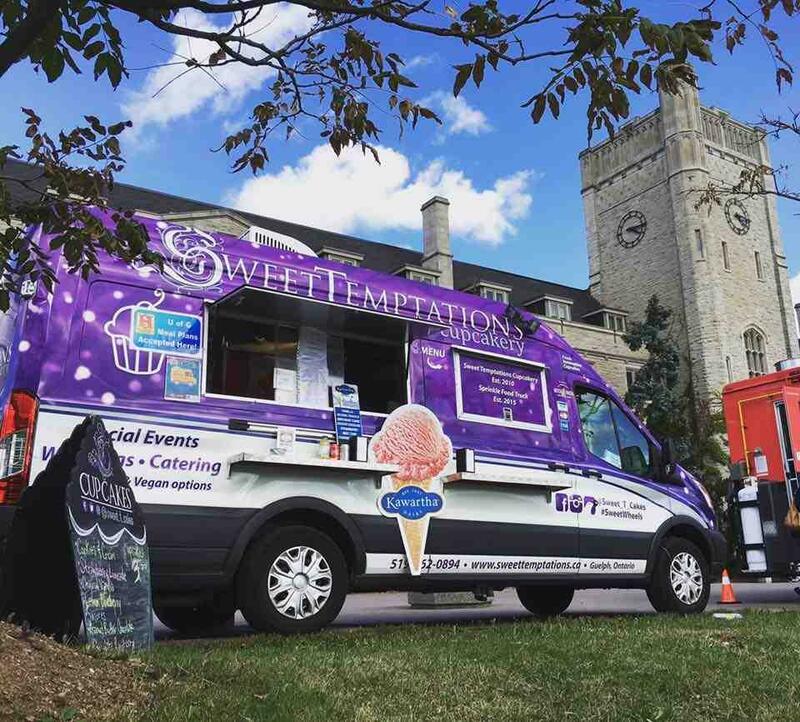 Sweet Temptations’ commercial vehicle “Sprinkle” was a terrific business solution in two ways: it acted as a mobile billboard and helped her business get recognized in the community, and it helped to enhance the efficiency of her business by keeping everything she needed in one, easy to access, mobile space. Sprinkle has been a game changer Sweet Temptations because it has provided Jakki’s cupcake business with an easy way to be accessible to customers, wherever they are. Our commercial lease program can accommodate the unique needs of your business. Stop worrying about mileage — at Wayne Pitman Ford it does not matter whether you drive 10 kilometres or 1000 kilometres — we provide an Unlimited Kilometre Commercial Lease! We also offer a customizable, open-end lease program which provides you with the flexibility to set the residual based on your business requirements. You can choose anywhere between a two year to five year lease and set either a small or large end value/buyout. Wayne Pitman Ford has strong relationships with numerous suppliers and vendors that can help create shelving, composite flooring, dividers, and exterior hangers/racking for your vehicle. We are pleased to offer you a variety of commercial trucks to choose from and our experienced team will help you select the perfect model and assist with any accessories or customization. Contact our commercial lease department or our fleet manager Ray Felice directly, and let’s get your business on the road!